I am THIS close in to purchasing a ST licence, it really is a beautiful program and i really want to get rid of editing in Dreamweaver. But i just can’t seem to find how it’s possible to get the right PHP syntax highlighting when working with a PHP / HTML combination. And that’s kind of important. 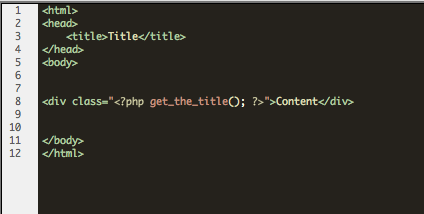 One may use PHP code inside HTML quotes like in the screenshot, but the the PHP syntax isn’t right anymore. The screenshot where highlighting is good is in Dreamweaver, how to get it functioning like that in ST2? Yes it seems to be that way, but i’ve no clue where or how, even when going through the docs. If you don’t wish tackle the customization yourself then you might find a theme, such as Tomorrow, that already includes some embedded-php highlighting. Use Ctrl-Alt-Shift-P to discover the current scope for particular text that you wish to colour - it appears in the statusbar - or install the **ScopeHunter **package. Thanks everybody for their great answers. ST is such a great editor with superbe modification possibilities so i’ll to learn many new things. In the meanwhile i got what a wanted! 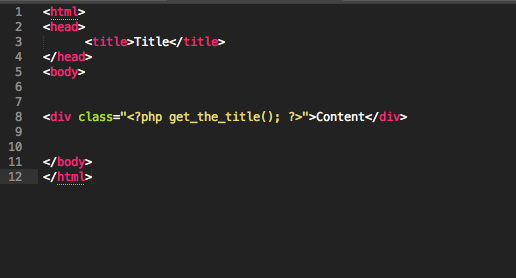 I’ve found a Monokai expanded theme which includes embedded php highlighting like it should. I’m going to purchase Sublime now becuase i want this editor to be supported as much as possible! Your echo statements should be semi-colon terminated, although this probably doesn’t account for the scope issue. 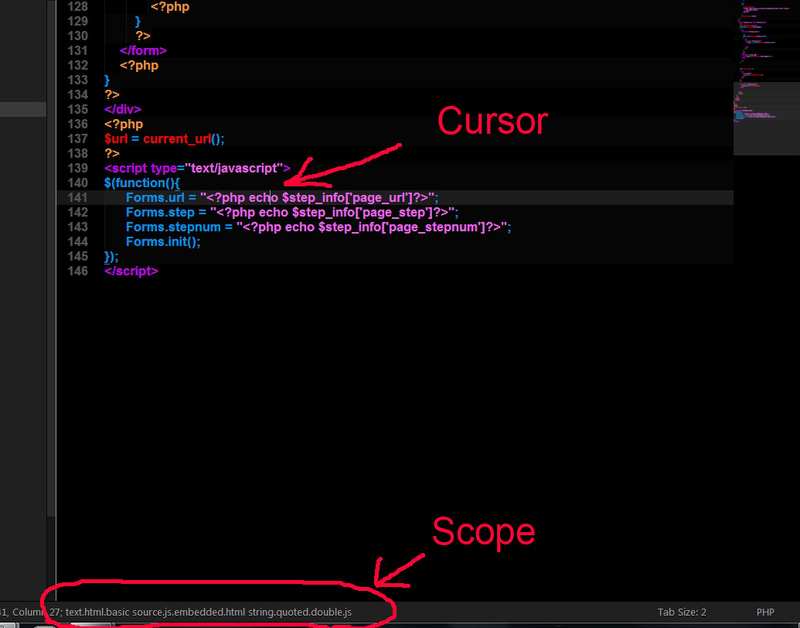 I don’t think ST-scoping extends as far as HTML > JS > STRING > PHP.